Networking . . . Can It Work . . . For You? https://getnewclientsnow.com/wp-content/uploads/2015/02/untitled2.png 456 678 billd https://getnewclientsnow.mystagingwebsite.com/wp-content/uploads/2018/11/imageedit_1_5820940535.png billd2019-04-03 01:40:022019-04-03 01:45:33Networking . . . Can It Work . . . For You? Having been a ‘convert’ to financial planning myself I shared some thoughts on the topic . . . I was recruited into the financial services field by a General Agent who’s classic line was, “Well, you’ve been shoveling their (the wolves’) _ _ _ _, why not try shoveling ours and see which one you like better”. That lead me to be in ‘the biz’ for 17 years in various capacities in the US and around the world. But I began as an agent / representative who had to find clients or starve. So I can relate to your situation. Passion . . . You’d Better L-O-V-E What You Do! Why you’ve decided graphic design is not going to float your boat and financial services will, is only relevant to you. But I do hope your decision fuels your passion. Why? Because if you’re not turned on by whatever you do in life, it’s going to be difficult to get up each morning and ‘go to work’. Like you, I had to find a way to get clients. I quickly learned that my ‘natural’ market of college students wasn’t filled with ideal prospects. Why? My competition was the myriad alternative ways my peers could spend their time and money. Good times, high times, etc. were far more compelling to most of my peers than investing or saving those dollars for a delayed gratification in the future. I decided to seek out people who had some compelling motivations to insure their future and invest their money in other ways than my college chums. My prospect of choice looked like this: “Under 30 years of age, employed full-time, career-oriented, married, with 1 or more kids (or, planning to have them), owning a home and paying off a mortgage”. That completely changed my life in the business. Why? I had a profile I could use to ask, “Do you know anyone who . . .” with practically everyone I knew or met. In the beginning I was pretty much of a rank amateur. I didn’t know what I didn’t know. I also didn’t know what wasn’t supposed to work. So I made things happen that my more senior colleagues would tell me would never work. Sometime, ignorance is bliss. Back to your question. I like that you’re coming into financial planning from a non-financial background. As a psych major I ended up learning the business by getting my CLU and ChFC within a few years of my decision to go into the financial services field. You’ve already figured out that the ‘technical’ aspects of the business are not too difficult to learn. Yes, you must study, but you can learn what you need to not harm your clients’ interests if you’re willing to pay the price. HOW . . . Do I Build a Productive Network and Profitable Practice? The ‘real’ question you want answered is “How do I start networking in this (new) field?”. Permit me to share some wisdom that, had I learned it earlier, would have created more success more quickly and easily than it did under the ‘trial and error’ approach I labored under. By ‘networking’ I presume you mean ‘prospecting’. Specifically, prospecting TO meet people you don’t know (yet) THROUGH people who already know, like and trust . . . Y-O-U. If you’re reasonably connected with people who want to be financially stable, happy, independent, etc. then you can apply what I’m about to share with you to grow your clientele and, in so doing, enjoy both significant financial success for yourself while you create substantial value, financially and otherwise, for far more people than you’ll ever know directly. I hope you do just that. It’s hokey to say it, but when you can see the magnificence of the daily activities of your work, you turn mundane activities into magical ones and your life will be illuminated with a majesty that few people ever know from the work they perform while they’re on the planet. So, here’s my advice to help you build a highly successful, effective and profitable network and practice for yourself. Let me suggest four (4) elements to create a ‘lean, mean, client-development machine’ . . .
You must define the kind of person you want as your client. This is key — don’t offer, ask, invite or expect anyone to know if someone needs or even wants what you offer. Why? Because most of us don’t know people who need a financial planner. Most of our friends appear to be doing pretty well. They live in nice homes, drive expensive automobiles, take great vacations, etc. So stick to what I call ‘CVS’ characteristics to build your Ideal Prospect Profile. S = suggests a high correlation with the kind of person who can best understand, value, desire and afford the products and services you’ll offer. My first profile helped me quickly determine if someone I was talking with knew anyone who was “under 30, employed, married, had a home, a mortgage and 1 or more kids”. You must seek out people who know — and can introduce you — to people who fit your PROFILE. I quickly learned my college buddies didn’t know too many people who looked like the kind of person I wanted to meet and, I hoped, make my clients. So I started to ask other people if they knew anyone who fit my profile. Some did. Some didn’t. But here’s what I learned! Just as I had formed a profile of my ‘ideal prospect’, I was also forming a profile of my ‘ideal SOURCE’. As soon as I’d find someone who seemed to know people in their network who looked like someone I wanted to meet, I’d note what my source looked like and I built a profile of my ideal source — of people I could approach who’d likely know people who fit my ideal client profile. Ironically, these two profiles were actually very similar. DUH! Water seeks it’s own level. People of a certain nature do, too. So if you want to find people who are gainfully employed, own a home, are married, have kids, take exotic vacations, etc. then it helps to ask people who look just like that, too. That said, the ‘secret’ that caused me to enjoy week after week after week of sales early in my career in the field was to ask my sources — once I verified they knew people who had any of the CVS characteristics in my prospect profile — for an INTRODUCTION — to the people they knew who fit my profile. I learned that asking for an introduction is far less problematic than asking for a referral to someone. I explain why in my Special Report. But trust me. If you want to meet with qualified individuals who can become your client, seek introductions. If you want to become extremely frustrated with yourself, your contacts and your results . . . seek referrals. Once your source is willing to introduce you to someone they know, you need a system to do this. And a key part of your system must include a commitment to report back to your source on how their introduction/s turned out for you. Why? First, it proves to your source that you didn’t destroy their relationship with the person they helped you to meet. Letting your source know that ‘nothing went badly’ when you followed-up with their introductions is so important to your success. It’s also good manners and up-bringing. Second, it makes going back to that Source a whole lot easier in the future. Trust me, you WILL go back – repeatedly – to any Source who can introduce you to people who can best understand, value, desire and afford to work with you. So why make it more difficult to do that? The last element in your lean, mean, client-development machine is your plan of WHAT you’ll do and WHEN . 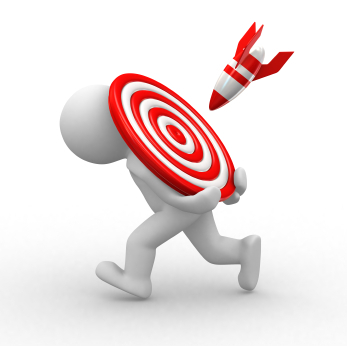 . . to generate new opportunities you can convert into clients. At a minimum, you’ll want to break your activities down into monthly, weekly and daily behavior goals. In my next post, I’ll explain what EACH of these six (6) key activities imply and how to make them productive parts of a process that helps you ‘Get New Clients’. “How can I convince a prospective client that I’m better than other advisors in my field?” That’s a great question. One I get asked a lot. OK, here’s an insight for you . . .
Do you read both books before you decide which one to buy? No. That’s not practical. So what does help you choose one book over another? Short answer? It’s the book’s cover! Specifically, it’s the experience a cover offers you that helps you choose one book over the other. If it’s sufficiently appealing, you’ll probably buy the book. If not, you’ll put it back on the shelf. That’s the very same process prospects use to decide to work with you . . . or, your competitor. Let’s be candid. Financial planning is an overcrowded and highly competitive field. Next to encountering a few ‘coaches’, attending any social event means you’ll find more than a couple of ‘financial advisors’. And we both know that’s being conservative. To people who are not in the financial planning field, every planner looks like all the rest. At a minimum, you call yourself by a common term — ‘financial planner’. You probably have letters after your name on your business card — CFP, CLU, ChFC, etc.. You’re licensed by the various financial regulatory agencies, you hold membership in your professional associations locally and nationally and you have awards and accolades from your company or broker-dealer. So do all the other planners! There’s really very little ‘difference’ between you and your competitors . . . as Joe or Jane Public perceives things. So here’s the problem: You may be no worse than your competition. But, you’re also not seen as being any better than they are, either. Not good. For you! Some years ago a major accounting firm hired the ‘father’ of modern differentiation — Ted Levitt, Professor Emeritus of the prestigious Harvard Business School. They asked him, “Tell us how to ‘differentiate’ our audit services from the audit services our competitors are offering”. Winning an audit contract with a major company — think Boeing, Apple, Google, etc. could bring in millions of dollars in fees — to the accounting firm that’s chosen to do the audit. Levitt knew that to ‘stand out’, something must possess two qualities. First, it must be unique. In a me-too world, you won’t be noticed unless you’re different. Think of Waldo. He doesn’t stand out so it’s hard to find him, right? Second, it must also be beneficial. Something must offer a legitimate benefit — as the target audience defines ‘value’. The problem is it’s not easy to sustainably differentiate a professional service –– like you offer. If your offering is beneficial, competitors will copy you and you won’t be unique for long. If your offering is unique and competitors aren’t copying you, maybe there’s really no benefit. There’s your dilemma. Finding a way to sustain a ‘competitive edge’ . . . a point of differentiation for you . . . over time . . . is a very real challenge. It’s why you feel like Waldo more than you like! Good News! Professor Levitt’s first requirement . . . being unique . . . is actually easy . . . for you. Last time I looked, there was no one else on Earth who is just like you. Heck, even your mother told you that, right? Listen to your mother! She’s right. You are totally and perfectly unique. I use a simple graphic with my clients to illustrate how this works . . . It all begins with / depends on your behavior. Everything (EVERY Thing) you do and say — i. e. your behavior — creates an experience for your prospective client. In social psychology, it’s well-known that your perception of someone reflects the cumulative effect of the behavioral impressions they offer you. If I’m always late or always have a messy room, you tend to perceive me as undisciplined, uncaring, disorganized, lazy, etc. That may not be true. But because that’s your subjective perception of me, that’s your reality of me and you’ll tend to behave accordingly toward me. OK, so how do you use these insights to help your prospective clients perceive you as the advisor they’d prefer to work with . . . assuming they’re ready to do so . . . and all other things are ‘essentially equal’? Leavitt learned audit clients really didn’t care about the audit. It was a necessary evil — like undergoing a colonoscopy after age 50. What they really wanted / cared about was to work with a ‘business advisor‘ whose firm could also do their audit. AHA! It was never about the audit, it was always about the relationship the client wanted! You may hear: “You knew about . . . “, “You were thorough”, You listened well”, “You made me feel comfortable”, etc. These are perceptions . . . of you . . . expected by your prospects. Once you learn the answer to the question, “Why me?”. . . you’ll know what your prospects are looking for in an advisor in your field. Then, I urge you to identify the ‘Top 3’ most commonly cited answers you hear. When you know what makes you a preferred provider, you can create the experience (of you) prospects will use to decide if you’re the advisor they want. Yes, it’s an Open Book Test! It takes 3 behavioral impressions to cement a single perception (AKA ‘truth’ or ‘reality) about you with a prospect. If you create 3 behavioral impressions for each of the Top 3 perceptions that educators want in their financial advisor and, all things being equal, you’ll have a decided edge over any alleged competitor! See? Amazingly simple. Your current clients were once your prospects. They were looking for someone they could feel comfortable trusting to help them manage their financial affairs. Behaving like what your clients wanted from you is the key to presenting your ‘best side’ to prospects in the future. That’s one (1) behavioral impression! If you make three (3) similar behavioral impressions during an initial meeting with a prospective educator client, they’ll form the perception that you’re someone who . . . specializes in working with educators! Repeat that process with the #2 and #3 perceptions educators use to choose . . . their financial advisor . . . and you’ll end up not only standing out in your initial meetings, you’ll end up converting more prospects into clients, too. People buy books by their covers and advisors / planners by their behaviors! I love psychology. I have a degree is in psychology. But I really love the field social psychology. One fascinating aspect of that is known as ‘Impression Management’. That’s where what you believe is real reflects the input or impressions you receive from various sources. Being an author has a lot of value. It marks you as an expert or authority in your field. More on that in a moment . . .
My wife and I were on a cruise ship. One of the evening shows featured a stage hypnotist. He called up several audience members to be part of the show. After being hypnotized, he told one young man, “You’re outside . . . in sub-zero Antarctica . . . and you have no coat”. Immediately, the man began to shiver uncontrollably. Was he actually feeling cold? Objectively, no. He was on a boat in the Caribbean! But subjectively, he was feeling that cold like a polar bear in January. There’s an established truism that our behavior reflects what we believe is real. The fellow on the cruise who believed he was in Antarctica without a coat behaved accordingly. He shivered uncontrollably. But was he really cold? Of course not. But he believed he was! So you know that what’s real is only real because you believe it’s real. Whether it’s truly real or not is irrelevant. All that matters is that if you believe something is real or true . . . it is. For you. Let’s say you’re at a social gathering. Personal or business. It doesn’t matter. Someone comes up to you, introduces themselves and asks, “So, what do you do?” I’m sure you have a better answer but assume you just want to reply as simply as you can. “I’m a financial planner”. We both know that’s accurate but deadly. Almost as soon as those words leave your mouth the other person is mentally checking out of the conversation, right? And why not? What are they going to do with that line? Either they’ll open themselves up for a possible pitch or they’ll say something truly inane like, “Financial planner? Gee, sounds fascinating . . .” Seriously? Now assume your answer is this . . . “Me? I’m a financial planner . . . and I’m writing a book on The 10 Biggest Mistakes Affluent People Make Before They Retire“. You’ve just introduced a piece of information that isn’t readily known about you — you’re writing a book! That helps someone perceive you in a whole different light than simply being just another financial planner. Once someone perceives you as an author, they’re ascribing you with a role and a status. Your status is Expert . . . on the topic of retirement planning for affluent clients (or, any other topic of your choice that gets a conversation going in the direction you want). What really differentiates you from your competitors isn’t easily understood by a financial ‘civilian’. Even if they learn you’re a CFP, ChFC, CPA, etc. they usually can’t appreciate what that means like you can. But once someone learns you’re writing a book on some topic (hopefully of interest to them) and they’ll perceive you differently. Usually, you’ll be intriguing and that . . . is very, very attractive! When I advise clients to use this approach, I’ll hear, “But I’m not writing a book!”. Excellent observation! That may be true. And, I never advise clients to lie or misrepresent themselves to anyone. That said, let me suggest that you make a commitment to write a book . . . on a topic you know well and people find interesting. Writing a book is a powerful marketing tactic and it helps people perceive you as the Expert you are. Now stay with me here . . . somewhere between committing to write your book and actually publishing it . . . aren’t you actually ‘writing the book’? Yes. Yes, you are! In fact, I have some clients who are always ‘writing a book’. They’re never finished! But they find themselves having the most involving conversations with people at parties and meetings because of the book they’re (still) writing! Let’s face it. Reality is what you believe it is. If you happen to provide information to someone you’re speaking with about yourself and, as a result, they perceive you to be an Expert . . . you’re no longer ‘just another financial planner’ . . . your status is elevated . . . you’re a bona-fide Expert. What impact will THAT have on their financial well-being and, your success? Quite a lot! Manage the impression/s you make with others . . . by design, not accident. Stand Out or Sit Down! It’s not often that I find an unusual / unusually effective way for someone to make a statement about WHO they are and/or WHAT they do. It happens. But it’s not common. Then, yesterday I received an invitation to connect on Linkedin with Joe Lavoie. I didn’t know Joe before he reached out to connect on Linkedin. Even our ‘who you know in common’ didn’t reflect a list of the usual suspects I would normally expect to see. So I did what I do most of the time. I checked out Joe’s Linkedin profile page to assess whether I should accept his invitation or, politely, decline it. When I viewed his profile page, here’s what I saw . . . In business and in life it’s not easy to be seen as so different and unique that you stand out from the pack of me-too positioned people. Joe Lavoie succeeds at standing out because he’s made a courageous decision to do so. Joe didn’t have to be a ‘rocket surgeon’ to say what he did. True, he’s pretty creative. But it’s not beyond anyone — including you and me — to seize the same opportunity Joe did . . . to make a distinctive and memorable statement that causes him to be memorable in a world where most people forget your first name after just meeting you! The father of differentiation . . . HBS professor and noted author, Ted Levitt, defined ‘differentiation’ in his 1986 book, The Marketing Imagination as the ability to be both unique and beneficial. The challenge, of course, is to be both. Why? Well, think about it. If you’re beneficial, you’ll be copied by your competitors. So you’re not likely to be unique for very long. And, if you’re truly unique, no competitor has tried to copy you. So maybe you weren’t all that beneficial after all. See, there’s the rub. Finding a sustainable way to differentiate or position yourself effectively . . . is a real challenge. The good news is that, as an advisor to your client, you’re not a tangible product that is readily available to your prospective clients from any one of a number of retail outlets. You are, simply by being who you are, unique. There is no one else like you. So there’s half the battle. The second challenge is to be beneficial . . . as your Ideal Client defines it. This is, as I’m sure you know, less about what you do and more about what you do for your client. Once you shift your frame of reference on that, you’ll see and communicate the beneficial difference you make in your clients’ lives . . . fairly quickly and easily. If you’re good at what you do . . . don’t hide your light under a bushel! Convey the beneficial difference you create in a client’s life simply, creatively and . . . effectively. https://getnewclientsnow.mystagingwebsite.com/wp-content/uploads/2018/11/imageedit_1_5820940535.png 0 0 getnewclientsnow https://getnewclientsnow.mystagingwebsite.com/wp-content/uploads/2018/11/imageedit_1_5820940535.png getnewclientsnow2014-12-12 05:03:542018-11-19 23:16:28Stand Out or Sit Down! 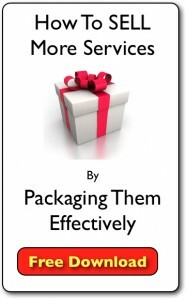 Today, we’re going to delve into what it packaging your service really demands. It may help if you keep “The Pure Powder Skiing Escape” from the 1/8/2013 post in mind as we do this. In this post, I’m going to explain the first 2 of the 9 steps shared in part 3. 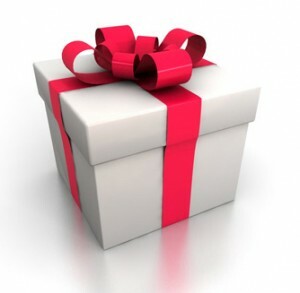 With this insight, creating a ‘package’ for your service will become much much easier! Everything you do should be a harmonic reflection of your business’ purpose — as your clients would describe it. And your package is simply a ‘bundle’ of elements that produce that beneficial difference in a client’s life. If you start out with the ‘end’ clearly in mind, then the components that lead someone to that destination become equally clear to you. Take McDonald’s Happy Meal as an example. That’s a ‘package’ in every sense of the word. Burger. Fries (or, fruit! ), drink and toy (God forbid they forget to put the toy in the bag, eh?). Parents buy Happy Meals (not kids). So what is the real benefit a McDonald’s Happy Meal gives a parent? According to what I can tell, it’s “7 minutes”. Huh? Well, think about it. A parent buys a Happy Meal . . . so they’ll get “7 minutes” to wolf down their own food before their kid drags them outside to the play in the playscape. Start by focusing on the Big Picture / end result / ultimate benefit . . . it makes building your package a breeze (well, relatively so!). In marketing, it’s often helpful to use a ‘personna’ or ‘avatar’ — a mental construct that embodies or represents the essential qualities of your ‘Ideal Client’ — to write to, speak to . . . when you’re seeking to communicate effectively with your clients. For example, allow me to introduce you to “Harry”. Harry is a client personna constructed out of the collective experiences of many different clients. He’s the owner of a company that employs 28 people. Harry’s clients are ‘significantly above average’ in terms of their total household income. Harry’s company offers a variety of services to these people. He’s got a lot of competitors to contend with on any given day. Which doesn’t make Harry too happy. Why? Well, lately, his margins have been squeezed a bit because . . . (you getting the idea?). You want to create a ‘Harry’ (or, Harriet) for your business. It helps you focus on WHO it is you’re building this package for in the first place! Your package should contain ‘everything ‘Harry’ wants or needs and nothing he doesn’t’. But if you don’t know who it is you’re building a package for . . . you’re likely to get it wrong. You may include ‘nice but not critical’ stuff. Or worse, you may (inadvertently of course!) omit something critical to Harry’s enjoying the benefit he’s buying your package to create and enjoy. Build a marketing personna or avatar based on your best and most recent clients. Keeping your ‘Harry’ in mind as you build your package will make sure it’s attractive AND effective!